So, again thank you, and enjoy the photos as many of you told me that you enjoy reading my blog! * Reproduction candy corn ornaments hang from a bouquet of branches as Halloween lolly pop ornaments tease shoppers...new jack-o'-lantern and black cat candle holder designs were unveiled as well..
* A wall of harvested corn stalks sets the autumn mood.... black & orange pansies anyone? 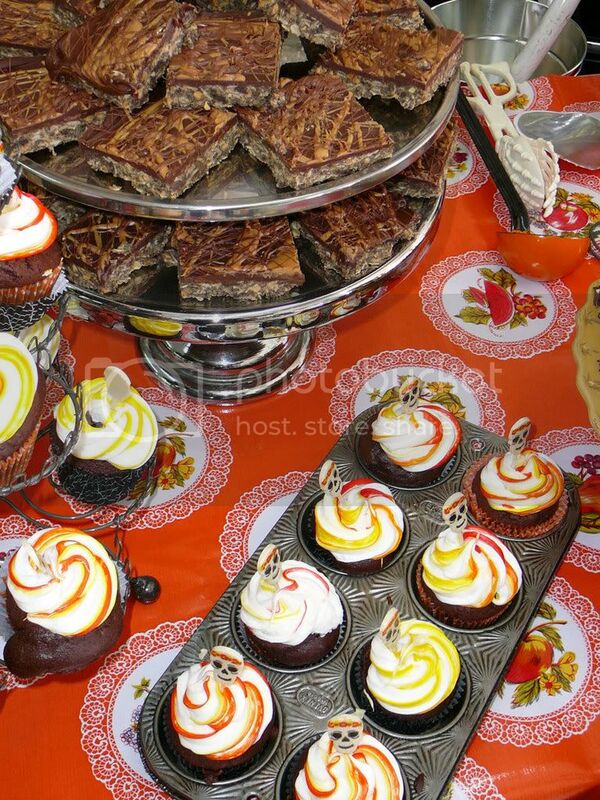 * A peek at Erica McNeish's sweet skelly cupcake delights and peanutbutter fudge brownie treats.. YUM YUM YUM as always! © 2008 Johanna Parker Design * Images in this post are the property of Johanna Parker and may not be used without permission.